4x6" rayon Democratic Donkey flag mounted to a 10" black dowel. 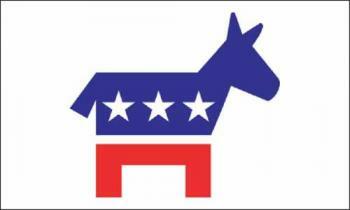 This Democrat flag is great for election season. You can hand out these small Democratic banners at your next parade or rally.